New Delhi Sep 14 (IANS) Accusing Prime Minister Narendra Modi of maintaining a "conspiratorial silence" on Vijay Mallya the Congress on Friday asked why he was not ordering an "independent probe" into the fugitive businessman s meeting with Finance Minister Arun Jaitley. Demanding the sacking of Jaitley the party said that "despite startling revelations about a meeting between Mallya and Jaitley on March 1 2016 both Modi and Jaitley have maintained a "conspiratorial silence". "Skeletons are tumbling out of the Modi government s cupboard unravelling a sinister conspiracy and collusion of government agencies including the CBI ED SFIO and banks in permitting Mallya to escape the clutches of law. "Jaitley and the consortium of banks led by the SBI and CBI/SFIO need to answer important issues " he added. The Congress leader said that the consortium of banks had met Supreme Court senior advocate Dushyant Dave on February 28 2016 for advice on the Mallya case. Dave has gone on record (on Thursday) that he advised the SBI management to move the Supreme Court the next day and get Mallya s passport confiscated. 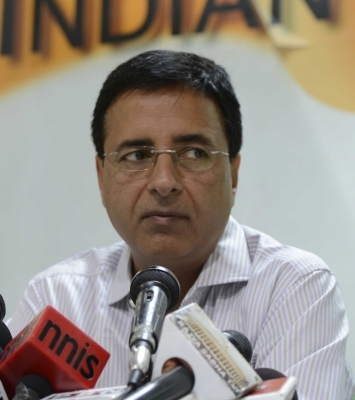 The SBI management and other banks never returned the next day for action against Mallya or for blocking his escape said Surjewala. "Who in the Modi government told the SBI and other banks to not move the Supreme Court on February 29 2016 to block the escape of Mallya?" he asked. "Why did the banks wait till March 5 2016 to move the Supreme Court when Mallya had already escaped on March 2. Does it not prove a sinister conspiracy to help Mallya?" "Mukul Rohatgi the then Attorney General and close friend of Jaitley has also made a startling revelation that Mallya could have been possibly tipped off and hence ran away." "If the Prime Minister does not act it will be proved that the watchman is not only a partner but is also guilty " Surjewala added.